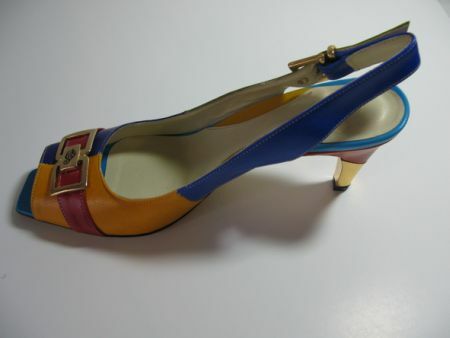 Sergio Cerruti multicolored sandal shoe, heel is two toned. Genuine leader, open toe sandal. Heel Lenght 3.6"